Today is GenBlog’s birthday. One whole year! Thanks to everyone who reads this blog. I do hope you get something out of it. Congratulations Julie in reaching the one year mark. I look forward to reading future posts. Congratulations on your blogiversary, Julie! 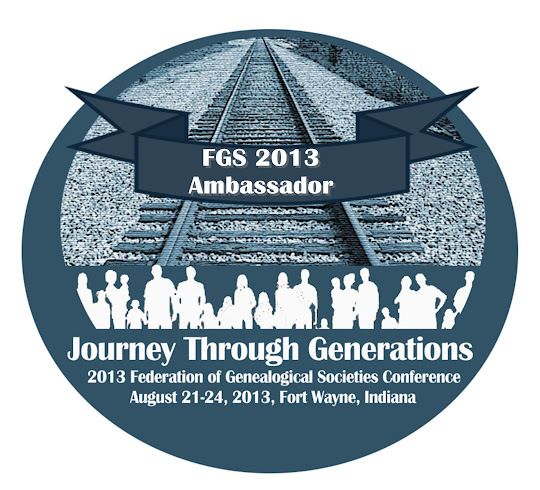 You run a great blog and a great resource for the genealogy community. Here's to another year! Happy Blogaversary!! I promise I will have a drink in your honor tonight - or at least that's the excuse I will use ;-) Love your blog and always get alot from it. Thanks and keep it up! Congratulations and happy blogiversary, Julie! Happy Blogiversary Julie! Congrats, looking forward to the next year! Happy Blogoversary, Julie! I'm so glad you started your blog, and have enjoyed it over the past year. Here's to many, many more! Hope for many more too. Happy Blogoversary GenBlog & Julie!! Congrats on a great year! Looking foward to reading more great posts in the coming year. Happy blogiversary! Congrats on this milestone! A year! Congrats, Julie--it's been a good one! HAPPY ANNIVERSARY and have a glass of the bubbly for me.